Writing About Writing (And Occasionally Some Writing): Oh, the PAIN of publishing! The actual publishing of a book takes a long time. I don’t mean the editing and copy-editing part. I don’t even mean the proofreading part. I mean the complexity of getting a work up for sale on various direct to reader sites, getting it out to all the distributors, getting it into all the countries and stores where readers can find it. That can take FOREVER! 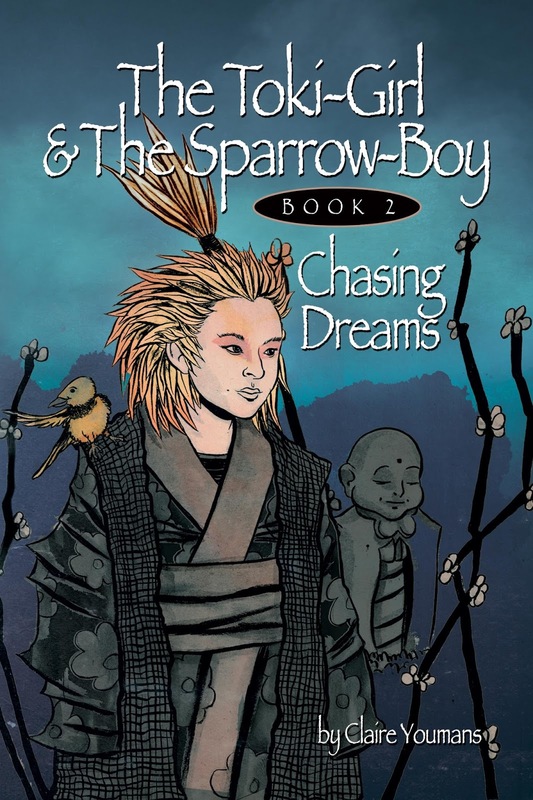 As of now, The Toki-Girl and the Sparrow-Boy Book Two Chasing Dreams is KIND OF published. Amazon Kindle is (after several days of nonsense) UP at: http://www.amazon.com/dp/B010F01B52. 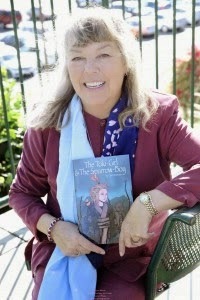 All e-formats (every single one) are UP at: https://www.smashwords.com/books/view/554066. Getting into THEIR system was really tough this time. 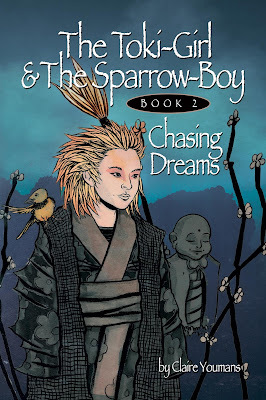 It’s even up on Goodreads at https://www.goodreads.com/book/show/25825574-the-toki-girl-and-the-sparrow-boy-book-2-chasing-dreams. That was surprisingly easy, but you can’t buy books there, only review them. BUT: It will take about three weeks for hard copies to become available at Amazon (that link will work and connect to both books) as I still have to proof bound galleys and submit corrections, if any. It will ALSO take three to four weeks for it to appear in the iTunes store, on Kobo, at B & N for direct reader purchase, and ALSO be available for purchase by brick and mortar stores, schools and libraries. Advance Review Copies (ARCs) are mostly out, and reviews are the nicest thing you can ever do for an author. Just takes a minute, but good reviews mean more marketing on the part of the actual booksellers, and the hardest thing I’ve found about publishing (Big House, Small Press, Tiny Indie Press) is actually becoming visible to readers. Reviews help! Please review! If you buy on-line, you can review right where you bought the book. Since distribution (bookstores, libraries, schools and readers can FIND the book to buy it) is available without a Big House now — small presses often do not provide much in the way of distribution — one does have to ask if working through a Big House is worth it. IME, they didn’t do much more than that in the publicity line. But they DID take a lot of the pain out of actually getting the completed book into print. I'd STILL have to proof bound galleys, though, and I am the World’s Worst Proofreader. The past three weeks, as well as the next three weeks, will be filled with urgent emails telling me everything possible has gone wrong, though it shouldn’t have. They’ll be filled with cuss words as we (and I am doing this WITH professional help) try to figure out what they’re even talking about, much less what they want. Files will be uploaded over and over, in response to NEW error messages. We’ll hear patent untruths and have to figure out ways to get around them. I’ll be ripping my hair out at midnight. I hate this period of being neither here nor there, of dealing with constant errors and revisions — NOT in the book, but in getting it out to distributors and retailers. But would I trade it for the ease of having someone else do this? WOULD someone else do it, if I had a Big House publisher? They’d do some thing. It would take much longer. In many ways it would be easier. It would be someone else’s job to rip her hair out at midnight. But she’d be calling me at six a.m., since she’s in NYC and I’m in California, and wanting ME to answer questions about which I haven’t the foggiest. It’s a trade off. Sure, I’d go back to a Big House if I felt like it would benefit my books. If I thought I could get better distribution. If I thought I could get better publicity. If I thought I could get an editor who understands my vision, and not one who wants to impose hers. If I thought the factor-of-ten lower cut I get of the proceeds would be compensated for by an increase in sales. But even though I am in the middle of publication hell, I tend to think not. The Big House is going to have to show me some benefits. I haven’t seen any so far. P.S. This is a REALLY GOOD BOOK for middle-grades and up, a fantasy-adventure set in Meiji-era Japan, featuring siblings who can turn into birds. And monsters, of course. Lots of monsters. If you'd like to join Claire in blogging for Writing About Writing either regularly or as a one or two shot, please take a look at the guest blogging guidelines (which include the fact that you can get paid, but probably won't get the numbers to make more than a few cents) and then drop me a line at chris.brecheen@gmail.com.